Bringing rooms in the home to their peak functionality will help families day-to-day operations run smoother. Back to school time brings out all of the inefficiencies in the home routine. The lazy days of summer give way to early mornings, strict schedules and lots of stuff. Add in sports, clubs, lessons and other extracurricular activities, and the family home may feel like it’s bursting at the seams. Of course, organization and processes help, but optimizing space can make a huge difference in the ability to streamline day-to-day home management. If you have clients who are looking for a new build, clients thinking of renovating for better property value or just want to tell your sphere about some of the latest family-friendly options, here are our favorites. Want to upgrade your kids’ bathroom design to make mornings easier? Start at the sink. Dual sink vanities aren’t just for the master bath anymore, and they make getting ready in the morning and at bedtime so much easier. Choose one with plenty of storage underneath, and outfit with baskets or bins to hold toiletries for each child. For bath time, an easy update to the tub is the addition of a handheld sprayer to make shower height adjustable and to allow easier shampooing. For the floor, look for tile with a textured surface to prevent slips and falls. One upgrade that’s not worth it? Most designers will tell you: child-height sinks, toilets and other fixtures. Although they are tempting (and so darn cute), kids outgrow them too quickly. You’ll then find yourself having to reoutfit the entire bathroom. It makes more sense to invest in well-made step stools until children are taller. 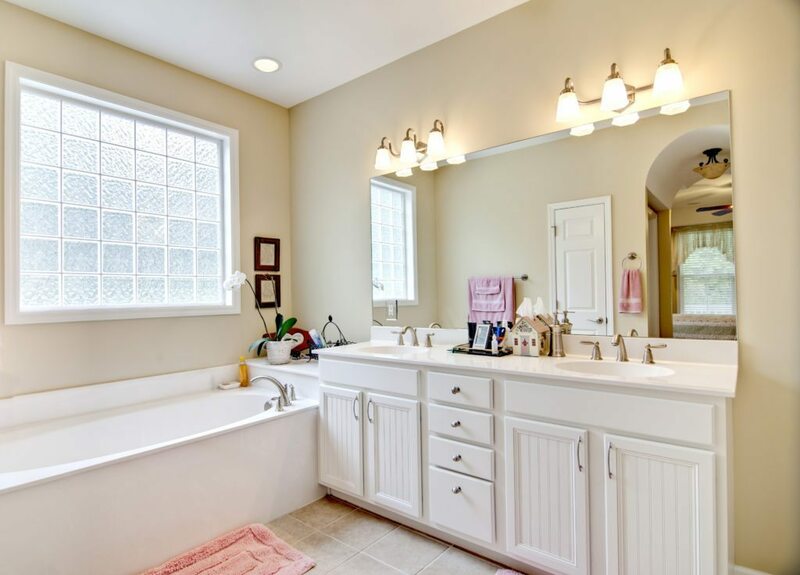 Similarly, it may be tempting to invest in cutesy light fixtures and other extreme themed elements to turn the kids’ bathroom into a princess castle or pirate cove. Again, though, tastes change so often as they grow, it’s best to keep decor neutral and stick to easy-to-swap-out items like towels, rugs and a shower curtain to create a fun space that’s easily changed. For many people, the kitchen is the hub of everything that happens. Schedules, school lunches, signing permission slips — this is where it all goes down. One of the best things you can add to a kitchen is an oversized island, preferably with seating. This gives you a convenient and easy-to-clean place for breakfast, after-school snacks and homework. Combine with attractive overhead fixtures to ensure adequate light, and you’ve got an ideal spot to keep everyone and everything humming right along. 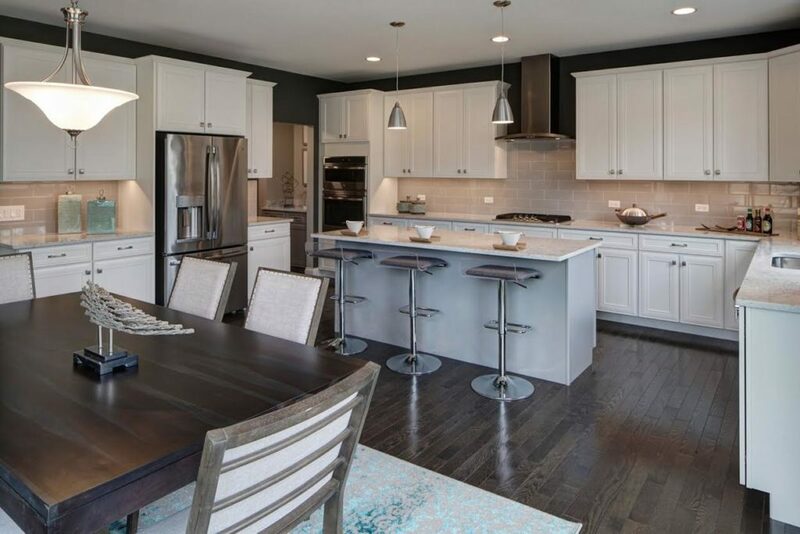 “The whole family benefits when kids have a space where they can easily spread out with projects and worksheets, and parents can be within earshot to provide homework help while also keeping dinner on track,” said Jeff Benach of Chicago’s Lexington Homes. If you really want to take efficiency to the next level, add a second sink, storage and a small beverage cooler to that island to ensure that lunches and snacks can be prepared and stored in place. It also saves energy as kids aren’t constantly opening the main fridge whenever they want something. Just about everyone has experienced the frustration of cleaning up a trail of shoes, jackets, backpacks and athletic equipment as children shed the detritus of their day on the way to their rooms. The reason, of course, is that there is often no designated place for everything. Thus, that New England staple, the mudroom, has come into vogue in many homes throughout the country. Whether you are outfitting a mudroom or a more traditional foyer, storage is essential to create an orderly re-entry for after school. 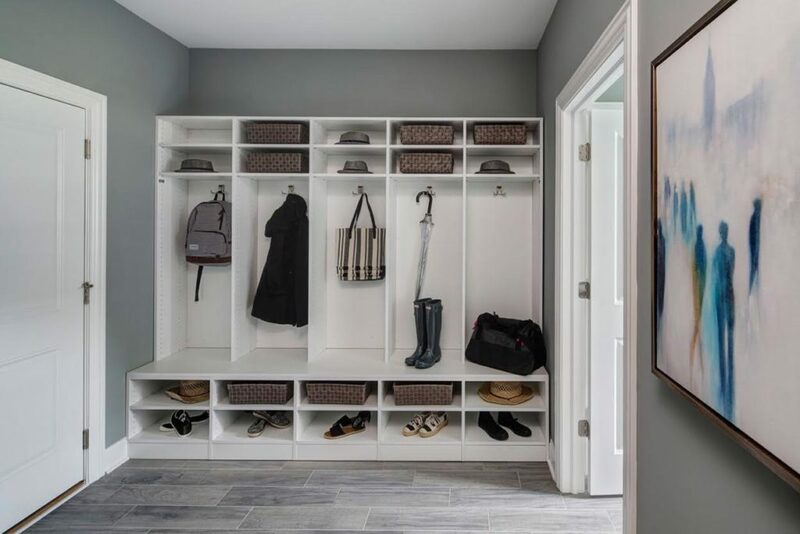 According to Brian Hoffman of Northbrook, Illinois-based Red Seal Homes, designing the area with benches, cubbies, lockers and expanded versions of the traditional coat closet can provide ample storage for returning students. Want to add a personal touch to welcome each of the children? Color-coded lockers, nameplates and other ways of creating individual spaces bring personality, individuality and style to this utilitarian area. Upstairs or downstairs is the great conundrum for laundry rooms. Upstairs is more convenient for easy bedroom and bathroom access, linens and towels. However, downstairs prevents muddy or wet snow gear, sports uniforms and workout clothes from dirtying up the rest of the house. Some new builds are refusing to compromise, opting for dual laundry rooms, said Ken Fixler of Northbrook’s Barnett Homes. 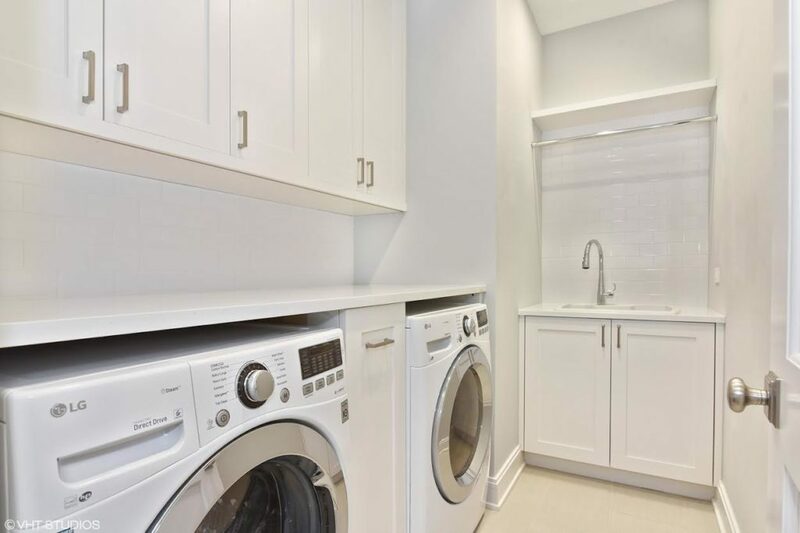 “Having another laundry area, especially near the mudroom, allows parents to handle those bulky and often extra-dirty items separately, without carrying them through the house to the second-floor laundry room,” said Fixler. A small stackable washer and dryer can fit easily in an existing closet space or in a large powder room. Alternatively, look around for underutilized floor space that could be enclosed to create a small laundry closet. Back to school doesn’t have to mean back to a chaotic and messy home. With smart updates and design elements that take into consideration all of the members of the family, it’s easy to create a home style that really works for everyone.